The LSE Prospectus published in 1895 provided prospective students with information about the courses LSE intended to provide, the teachers appointed and the principles on which it would be organised. Among those principles was the statement that the School was to be open to both men and women from its inception. The first women teachers appeared in 1896 when Gertrude Tuckwell, later President of the Women’s Trade Union League, appeared on the list of teachers giving six lectures on factory legislation. The following year she was joined by Ellen MacArthur and Lilian Tomn (later Knowles) who were both connected to Girton College, Cambridge. The early manuscript register of students, which pre-dates the School’s entrance into London University, shows women prominent among the early applicants paying their fees. Three of the first four research studentships awarded in 1896 went to women including Lilian Tomn, Ellen Marianne Leonard (first woman president of the LSE Students’ Union) and Edith Deverill (formerly of Somerville College, Oxford). In the mid-1930s LSE produced a published register of all students who had undertaken an examined course at the School between 1895 and 1932. Letters were sent out to alumni who were asked to provide details of educational history, post-LSE employment, addresses and marriages. The Register also noted where students had died and had lists of scholarships and prize holders. There are three appendices to the Register but this blog relates solely to the first volume. The Register also provides a list of academic staff divided into regular and occasional teachers. Occasional teaching encompassed a single public lecture or giving a regular short course of lectures over many years. Between 1895 and 1932 the total number of regular staff was 199 and the 42 women were 20% of the total. 50% of the women employed were based in the Social Science and Administration Department, a department closely concerned with training for individuals wishing to undertake welfare work. However only six women were full members of Professorial Council, the senior academic decision making body in the School, and it was unusual for Professorial Council to include more than one woman. 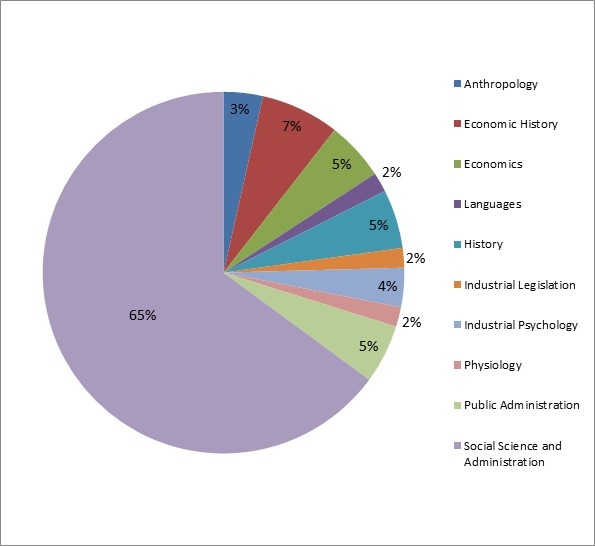 57 women were employed as occasional lecturers between 1895 and 1932 and here the dominance of the Social Science and Administration Department is even more pronounced, with 65% of the occasional teachers attached to the department. However women were only 13% of the total number of occasional lecturers. The LSE Register lists 1,067 students studying for degrees, diplomas or certificates. 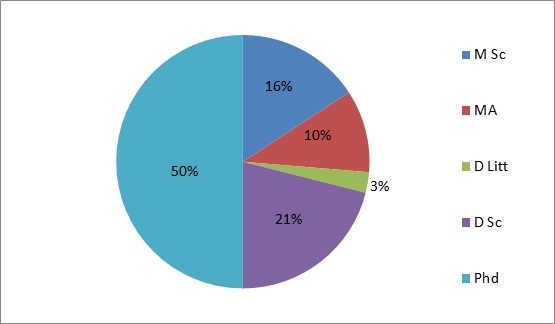 26% of the women took a three year degree, mainly the BSc (Econ), specialising in a range of topics. There were also BA degrees in Sociology and History as well as later the LLB. 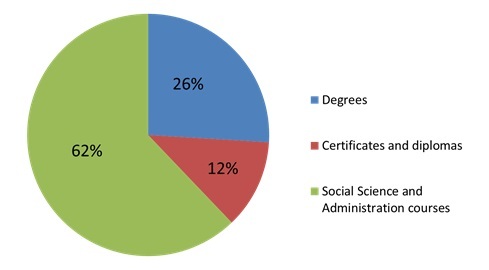 12% of women students were taking certificate courses including geography (which was a useful qualification for geography teachers), psychology, anthropology and even journalism. 62% of the women were attached to the Department of Social Science and Administration which did not deliver a degree course. Its main qualifications were the Social Science Certificate, Diploma in Sociology and Mental Health Certificate –all one year courses, which could be taken part time, aimed at those wishing to undertake a range of welfare work. However further investigation reveals that 39% of the women taking these courses already held a degree, teaching certificate or some other qualification. 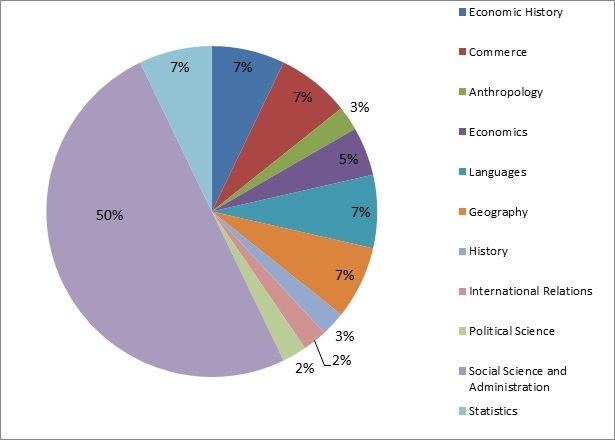 The majority of students took the BSc (Econ) which makes it difficult to investigate a students’ specialist study unless it is noted in the Register, or by reviewing individual student files. 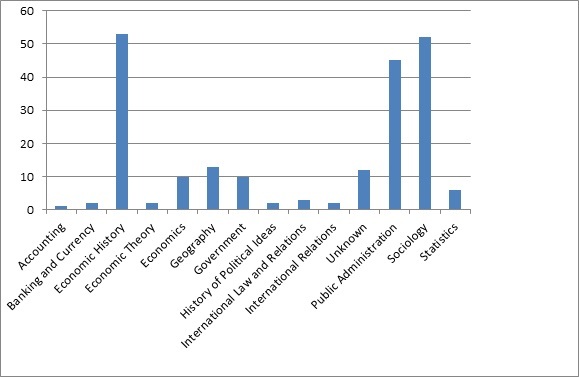 From the Register it appears that the most popular specialisms with women taking the BSc (Econ) were Economic History, Public Administration and Sociology. The small numbers taking accounting or statistics probably reflects the small numbers of students taking these subjects in total. In this period the possession of a further degree was not essential for a career in university teaching but 38 women at LSE obtained higher degrees – 19 of them PhDs. 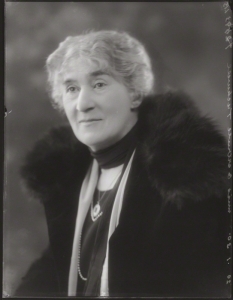 Indeed the first three doctorates awarded to LSE students went to women: Amy Spencer (née Harrison), Caroline Skeel and Alice Effie Murray (later Radice). 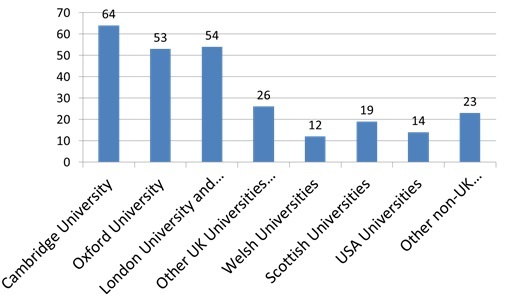 LSE women with previous qualifications came from a wide range of higher education institutions. Cambridge was the most popular with 64 students. London University, and other colleges in London came second, closely followed by Oxford. It is worth noting that 37 women students came from universities overseas – including the USA, Canada, Australia, South Africa and France. Three came from India – the University of Bombay and University of Madras. LSE’s connection with Girton College, Cambridge, has been noted and includes the Professors of Economic History, Lilian Knowles and Eileen Power, but in fact 31 students came from Newnham College, while 21 came from Girton College. Of course some students simply labelled their studies as Cambridge University with no reference to a college. In the future it would be interesting to research the students who used the title “Mrs” while studying at LSE and the post LSE careers of LSE women.